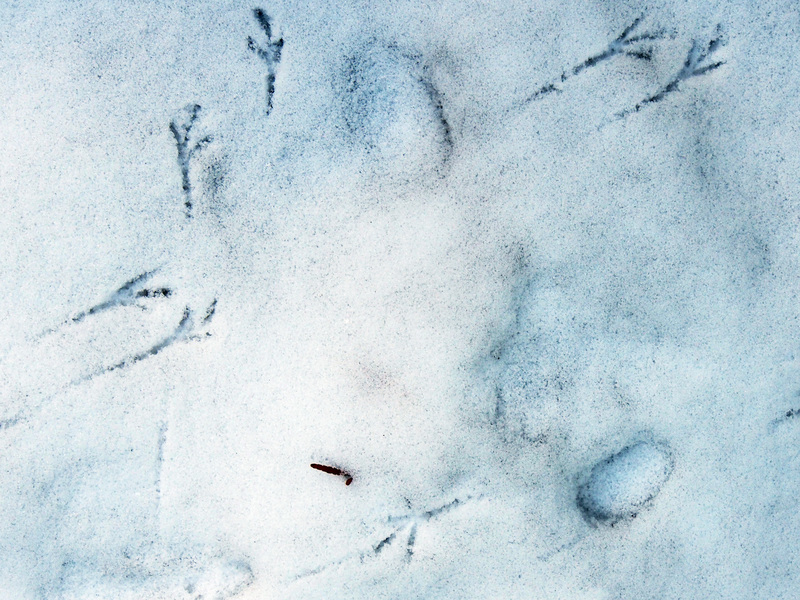 Tiny footprints left by the sweet sparrows in the back garden. I think they had a dance party on the snow! Counting down to spring..even on the snowy days. Four days. A dance party – obviously to celebrate the coming of spring – now only 4 days away! I’ll get out the mirror ball, you start up the music. A dance to welcome spring! Hi, Lisa! Thanks for coming by! The header photograph is one I took earlier this year – it was pouring rain, and it was rush hour- that is, the sidewalk’s were packed with commuters rushing to the trains. It’s a shop window downtown. The Butterfly was part of a window display. City street is reflected on the glass. I must say – I do love this shot! That almost looks like one of those old-fashioned learn to dance diagrams. Thanks for the smile this morning, Juli. They remind me of ancient hieroglyphics. What a great eye!